The heart of downtown St. Paul will soon be home to a new 200-seat restaurant. The Minnesota Wild will open Herbie's on the Park this fall in the historic Minnesota Club building, which overlooks Rice Park. The restaurant is named after the late Herb Brooks, a St. Paul native who coached the 1980 U.S. Olympic Men's Ice Hockey team, which won a gold medal. The Minnesota Club building is owned by his brother, Dave Brooks. The Minnesota Wild have their offices there. The restaurant, at 317 Washington St. in St. Paul, will be open daily for lunch, dinner and weekend brunch. It will have an upscale tavern vibe that will aim to attract not only sports fans, but also concert and theater attendees. No details on the menu are available. 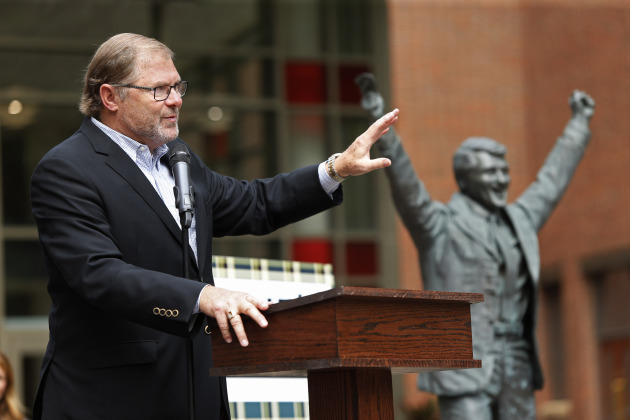 Craig Leipold, owner of the National Hockey League's Minnesota Wild, is owner of the restaurant, which will be operated and managed by Levy Restaurants. Do you have access to fresh food? State briefs: Foshay star now shines outside workshop in Brandon, Minn.
Big changes for Blue Plate Restaurant Co.